And you thought the euphemism "sawing logs" applied exclusively to people. That is until you heard the thundering snore of your little 10-pound tabby when she's sleeping like a log. 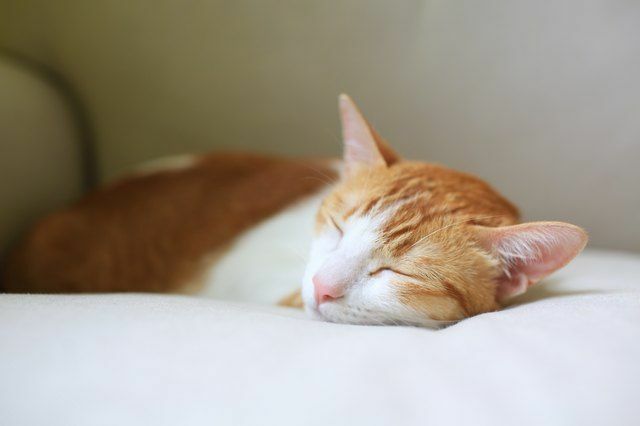 Disproportionately loud and disturbing, your cat's snoring could rival a dozing lumberjack, and keep you awake at night wondering: Is it normal for cats to snore? Well, in many cases, it is. But if your cat is awake and making a snoring-sound characterized by heavy wheezing, erratic breathing pattern, or a weird, low-pitched noise, seek veterinary care immediately. Cats are incredibly relaxed when they're sleeping. As such, their bodies and physical faculties are also relaxed. When the tissues of the upper airways, which comprise the nose, pharynx (back of the mouth), and throat relax, they all vibrate as the cat breathes. This audible vibration produces the sound known as snoring. It's no different for people, and like their human counterparts, snoring in some cats can sometimes be symptomatic of health problems. When is cat snoring harmless? 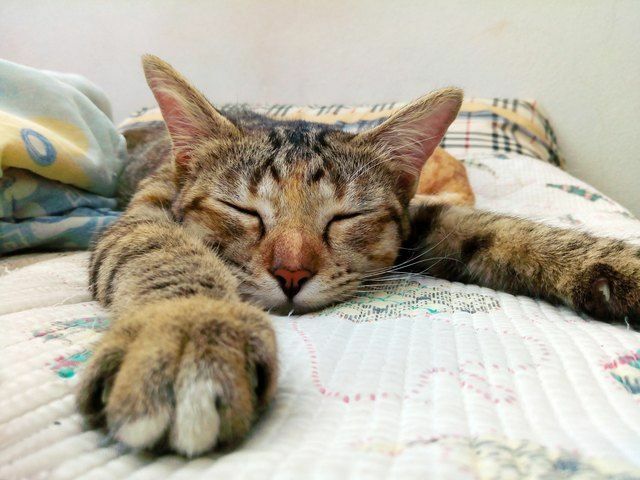 Like so many other traits unique to felines, sleeping is an art — cats really know how to work the siesta. In fact, cats' penchant for snoozing and doing it incredibly well is legendary. And along with the polished catnap comes something akin to human snoring. And like some people, sweet kitty snores are none too subtle and described as, like the rumble of a distant chainsaw or even a not too far away freight train. Like us, cats fall into a deep sleep and experience REM, or rapid eye movement. For cats, this manifests in "running in place," jerking facial muscles, and twitching whiskers. It can also involve snoring. Perfectly harmless in this instance, snoring now and then is not a big deal. 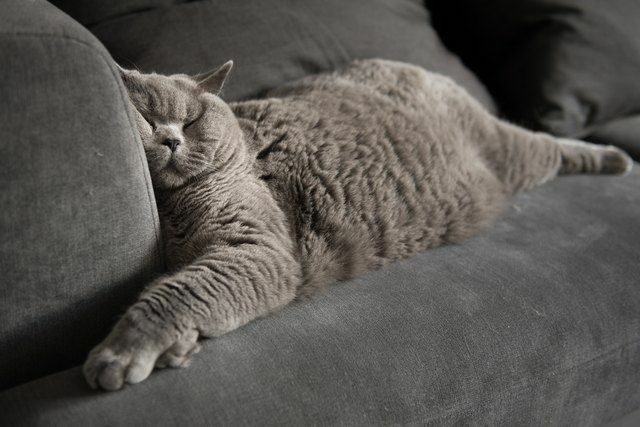 It's particularly prevalent in overweight cats who can benefit from a modified diet, or brachycephalic, or flat-faced cat breeds like Persians, due to their shortened nasal passages and elongated soft palates. Also, when a cat sleeps in contorted, or odd positions occasionally, they may snore. When should you be concerned about your cat's snoring? A "stertor" is a low-pitched noise that sounds like a snore. A "stridor" is a high-pitched noise a cat makes when breathing in or out. "Wheezing" is a high-pitched noise emitting from the lungs during respiration. Mucus in the nasal passages due to an upper respiratory infection causes snoring and presents as discharge from the nose or eyes, sneezing, or sores on the nose. Loss of appetite or energy (lethargy) always needs to be addressed since these are signs of illness in cats. Known as snorting, this noise is the result of a quick intaking of air through the nose. Breathing with the mouth open, known as panting, is normal for dogs, but not normal for cats. Labored breathing is when a cat sits with her neck extended, breathing rapidly, and constitutes a medical emergency. Polyps or tumors in the nasal passages, sinuses, or back of the throat, whether benign or not, can be a cause of snoring in cats. Feline asthma causes swelling of the tissues in the cat's lung passages, which may be secondary to parasites, allergies, heart disease, or obesity. Severe dental or periodontal disease. When abnormal snoring is diagnosed as an acute illness or chronic condition, treatment is based on the protocol for the specific disorder at the root of the problem. Most importantly, if your cat's snoring resembles, even remotely, one of the described abnormalities, it's time to consult with your vet for a definitive diagnosis. Since the disorders causing the snoring abnormality can range in severity, seek treatment promptly; it will be different in each scenario.